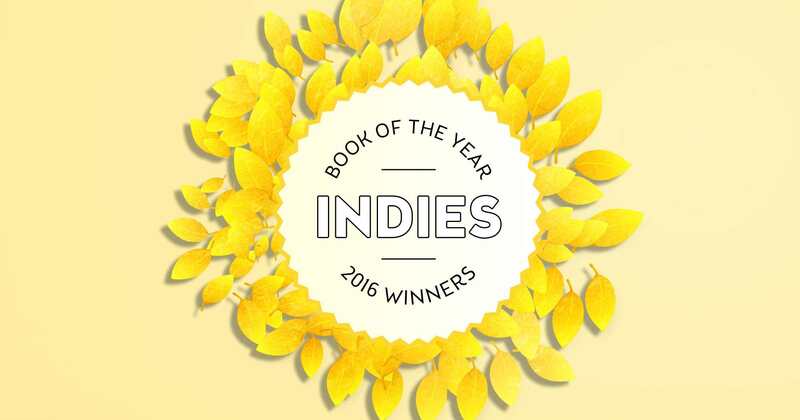 Every year, the Foreword INDIES celebrations provide a déjà vu experience for the editorial team here at Foreword Reviews. Many of the gold, silver, bronze, and honorable mention award-winning books first appeared on our radar as many as eighteen months earlier, when they arrived in our offices as advance reader’s copies seeking a review. Of course, not all of them earned reviews in the magazine—with limited space, we can’t cover every great book we discover—but the books that did earn coverage linger in our memories long after. As I scanned the list of 2016 INDIES winners, announced just a few days ago at ALA in Chicago, the sports category jumped out at me. I personally wrote short reviews of the silver and honorable mention winners for the Gift Ideas section of the magazine last year. I specifically chose both those books because they’re fantastic, and I strongly encourage you to locate copies. Those reviews are below, as well as a quick mention of West Texas Middleweight: The Story of LaVern Roach, the INDIES bronze winner in the sports category. But first, let’s take a look at the INDIES gold winner. Behind every great athlete is an influential coach or two, and the reverse is true, too. And while much worthy coverage has been devoted to Stengel, Lombardi, Wooden, Paterno, and other legendary men on the sidelines, the death of Pat Summitt in June of 2016 caused the sporting world a serious moment of reflection. Her gender, coaching record, dementia diagnosis in the prime of her coaching years, and dignity through to the end of her life stopped many a sports writer midsentence. The old language and ledes needed to be tossed aside. This woman deserved better. To discover how much better sports writing can be when the game scores and highlights are complemented by superb human interest storytelling, we turn to The Final Season, the 2016 INDIES gold winner in the sports category. We were interested in how such a project comes together, so we reached out to its author, Maria M. Cornelius, with a couple of open-ended questions. A bit shockingly, we learned that while Maria was working on the project back in 2013, 2014, and 2015, she was diagnosed with breast cancer, and her mother was given an official diagnosis of Alzheimer’s—eerily, the same disease that confronted Pat Summitt. The Final Season is about Summitt’s final season as head coach of the University of Tennessee’s women’s basketball team, after she had publicly shared that she was battling dementia. Here are a few gems from Maria via our e-mail exchange. 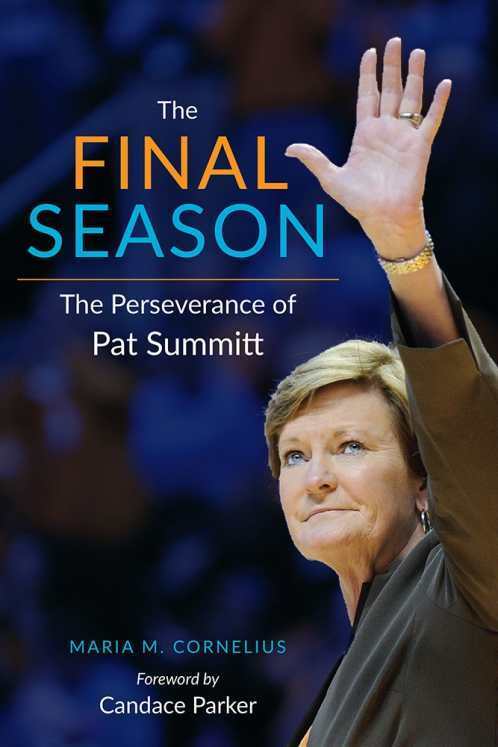 You won a recent battle with cancer, Coach Summitt was dealing with dementia, and your mother was diagnosed with Alzheimer’s disease around the time you were working on the book. How did all the health issues affect the writing of the book? No doubt, you had to make some adjustments. Everyone deals with things differently. And, you certainly must have struggled at times to stay on task to meet deadlines. Anyway, please talk about the writing process in the face of such obstacles, grief, difficulties? I leaned on all that I learned from Pat Summitt from watching her over the years. Basically, whatever you are doing at that moment is the most important task. Whether that is interviewing, writing, working, or even sleeping. I work full-time at Moxley Carmichael, the leading communications firm in East Tennessee; the firm was started in 1992 by Cynthia Moxley, one of the first women city editors in Knoxville and a published author. So, she understood my quest. I joined the firm in September 2013. My surgeries were in February and April 2013. I needed a job that offered stability. She needed a writer/editor for the firm. It worked out perfectly. My weekdays were devoted to my work career. My weekends were devoted to my book. I recorded all of the interviews, so the voices of Pat Summitt, coaches, and former players would fill my office as I transcribed them. I also saved every box score, note, and video interview from that final season. I didn’t want the book to be linear—the outcome was known—so organization and outline were critical. Essentially, I stayed in the moment. Whatever task was at hand, it got my full attention. The initial draft was completed by the end of 2014. The interviews started in December 2013—some former players play overseas for professional teams, so I had to reach them on holiday breaks when they returned stateside. I still cover the Lady Vols basketball team as a freelancer for InsideTennessee.com, so I knew writing the book would have to wait until after the season. In 2015, the book went into the queue at The University of Tennessee with plans to publish that fall, or in the winter of 2016. But UT Press also had Joan Cronan’s book in queue, Sport Is Life with the Volume Turned Up: Lessons Learned That Apply to Business and Life. Not wanting to release two sports book at the same time, Joan’s book was published in the fall of 2015, and mine was slated for the fall of 2016. So, it sat rather dormant in 2015 as the focus was, understandably, on the upcoming releases. Everything got back in gear in late winter and spring of 2016 with copyediting, my reviews of that, 300+ pages to check, indexing, re-checks, etcetera. That is when I was reminded of Summitt’s uncanny ability to focus intently on what was happening that very moment—and I tried to channel it as best I could. In June 2016, it was apparent that Summitt wasn’t well. I pulled back the manuscript and waited. On June 28, 2016, Pat Summitt died. The following weekend, I went through 300+ pages to put many passages in past tense. That was a tough task. We were able to add a tribute page and update the afterword. I edited the entire manuscript one final time in late July. The book was released to the printer in the first week of August. The first book signing was scheduled for September 30, 2016, in downtown Knoxville at a delightful independent bookstore, Union Ave Books. The books arrived September 29. I was there for arrival. Writers, as you know, have to be able to compartmentalize and become absorbed by the process. That is what I did last summer. Was it a challenge? Yes, especially with the death of Pat Summitt. Three weeks before Pat’s death, I traveled to Washington, DC to help move my mother, Rosalie Cornelius, into a memory care center and pack her home so I could ship her things to Knoxville. My mother has done very well in the center, especially with the social interaction, but she cried when we moved her and cried when we left her. It was the toughest week of my life. And then June became the toughest month. Pat Summitt’s enduring message is that life will knock you down. Get back up. Sports books get pigeonholed in the book industry and by the reading public, and yet the life of a woman like Coach Summitt has so much to offer readers from all walks of life. Aside from fans of basketball, and Tennessee Vol followers, can you talk a bit about others you had in mind while writing? And now, nearly a year after the book’s release, who do you hope reads this book, and what might they take away? I wrote it first and foremost for Pat Summitt. That I could not place it in her hands was tough. I can only hope now that I honored her legacy. That season had no script. A coach announces a devastating disease and stays on the sideline. No one knew what to expect. As I watched that season and talked to the players, I realized what these young women were enduring at a tender age. They were watching an iconic woman slip away, and yet they had to keep taking the court amid their own sadness. What those players did was incredible for eighteen- to twenty two-year olds because of the spotlight they were under. The basketball court is usually a sanctuary, an escape for players once they cross those white lines to forget about anything else for a few hours. But every game was a reminder of their coach’s illness, and also her impact to the sport, as fans wore “We Back Pat” shirts and filled arenas on the road. I wanted to honor them, too. That team persevered in every sense of the word. I think the book would resonate with anyone dealing with the devastation of Alzheimer’s disease. I think a reader can draw strength from it because of the example that Pat set about what to do when life literally cuts you as deep as it can. I hope they take away what Pat taught all of us: resiliency and perseverance. And always be able to laugh at yourself. The balance of the book was tricky. I wanted to tell a story but also to record that season. The details of the games were meant for posterity, so that twenty or fifty years from now, the details of that season are not lost. I also wanted to portray the sadness and, yes, the sense of humor that was so important to everyone’s wellbeing that season. I am so grateful my path somehow crossed with hers. I am a better and stronger woman because of it. During my travels to book signings, I heard so many everyday stories about Pat Summitt and the encounters people had with her that never were published. She treated everyone she met as if that person were the most important person at that moment. I am collecting those stories and intend to put them into a compilation (so perhaps another book). I also saved microcassettes of so many Pat Summitt interviews, mostly from 2004 to 2012. I am exploring how to convert those to digital to save them for posterity. Baseball’s No-Hit Wonders: More Than a Century of Pitching’s Greatest Feat, by Dirk Lammers. West Texas Middleweight: The Story of LaVern Roach, by Frank Sikes. The mesmerizing story of a charismatic boxer from the 1940s whose shocking death resulted from injuries incurred in a nationally televised fight—a tragedy that changed boxing forever. The Tao of Running: Your Journey to Mindful and Passionate Running, by Gary Dudney. “What are they all seeking in their daily, strenuous runs along mountain trails, city streets, ocean beaches—and do they ever find it? 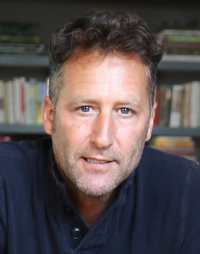 Matt Sutherland is Editor In Chief at Foreword Reviews. You can e-mail him at matt@forewordreviews.com.